Everything seems to be falling into place, finally, after such a long ordeal of messes and hardships. Sarah Whittier seems to possess some manner of fortune at last, albeit shortly following the death of the only man she ever looked to as a sort of father. She inherited his house. His accounts. Everything she needs to make her dream a reality. To her credit, Sarah is not a selfish woman. She never wanted Josiah Cady to pass away and leave her with everything, but maybe, for once, it's a blessing in disguise. Maybe things are starting to look up and she can finally lease a space for the art studio she's been longing to open up and run with the help of the immigrant women she has befriended and so desperately longs to help. That is, if the sudden appearance of some Daniel Cady claiming to be Josiah's long-lost son doesn't get in the way. But a man bent on revenge will do whatever he wills to get the inheritance he believes he deserves, and a woman with a noble cause and wonderful intentions isn't going to stand in his way if he can help it. Nancy Herriman pits two atrociously mismatched characters against one another, destined for anger and hatred , and spins their interactions into something more. Lesson are taught and learned and there is a great deal of hurt to endure while they struggle against each other. How can two people with such opposing desires ever get along? As it turns out, it only takes a a touch of danger and a dash of trust to bring them closer together, if only a little. A matter of life and death is enough to put revenge on hold, even if it's only for a little while, and it seems, enough to make one second guess. 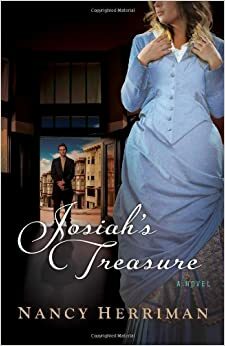 Josiah's Treasure is a curious story, with curious characters that develop quite profoundly throughout. Intriguing enough with the question as to whether or not Sarah will succeed, the addition of ever present danger and battles of wit make for a rather engaging, light read. For more information on Josiah's Treasure by Nancy Herriman, visit our website here. 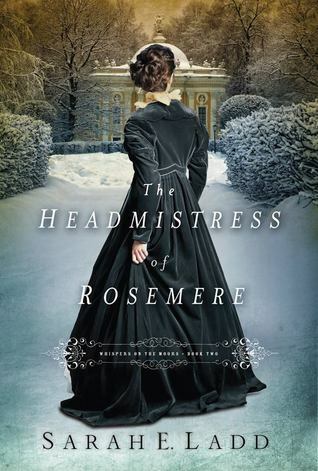 The Headmistress of Rosemere is a delightful continuation of The Heiress of Winterwood from the Whispers on the Moors series. In most respects, the two books are separate of one another. You could read either one without the other and not be lacking in any areas of information or lack thereof. While book one focuses on Graham Sterling, book two takes into account William Sterling, a young man of the most troubled disposition. Caught up in gambling and betting on horse races, he has managed to squander his entire fortune and place himself in heavy debt - a fact he tries - and fails - rather desperately to hide from the general public. Appreciating the high value people place on gossip, he really oughtn't be surprised. With his funds rapidly waning and his creditors growing increasingly impatient, he finds himself attacked one snowy evening on the road home and he's forced to seek refuge within the halls of Rosemere - a property he leases to the Creightons where they run a school for girls. Patience Creighton has since taken on the role of headmistress there, with her father's sudden passing and her brother's mum disappearance. Her mother has fallen into a state of seemingly irreparable grief and there is no one left to take on that mantle. She hurries the unconscious Mr. Sterling into the school late into the night when he's found passed out in the stables, recognized immediately as the infamous William of Eastmore Hall. What follows their initial meeting is an odd set of circumstances and a whirlpool of emotions and uncertainties. The development of both Patience and William's characters is both intriguing and suspenseful in its own right, not to mention the added stress from creditors, and the sudden reappearance of her very elusive, very married brother. Undeniably, both Patience and William are pushed together by a set of outward and surrounding circumstances that provide anticipation, worry, frustration, fluffy joy, and pure delight all the way through. Sarah Ladd's way of making one feel for the characters is skillful, and her setting and historical accuracy attracts fans of Jane Austen and the Bronte sisters, namely in reference to Jane Eyre. I had just watched the new movie when I pulled the Whispers on the Moors series off the shelf, and it continued with Charlotte Bronte's setting and atmosphere most satisfactorily. For more information on the Whispers on the Moors: The Headmistress of Rosemere by Sarah E. Ladd, visit our website here. Sarcasm, wit, arguments, humour, dog attacks, china projectiles, and a great deal of pretending to be someone you're not for the sake of money and reputation. A gem quite unexpected. Honestly, I started reading After a Fashion with low expectations. A fluffy romance. Moderate substance. Jen Turano managed to surprise me quite pleasantly. Her sarcastic wit was truly and unexpectedly refreshing. Her main character, Harriet Peabody, is a headstrong hat maker with a no-nonsense, very business-like attitude. Losing her job does not bode well for her, which is something that happens no later than two chapters into the book in a very comical situation involving a dog attack and a self-righteous upper-class woman who loses all form of dignity. The entire tale is filled with moments quite like these, some more amusing than others, some more embarrassing, but all equally entertaining. Harriet Peabody is paid a large sum of money to be a business partner to one of the wealthiest men in the country. Her job description includes dressing up and providing intelligent conversation in hopes of securing a business opportunity and increasing her employer's already enormous fortune. A simple matter of being herself in order to acquire three thousand dollars she never imagined possible becomes suddenly not so simple the more time she spends in the company of her employer. Their inevitable tumble into a winding romance is a wonderfully intriguing and entertaining series of mishaps and events wrapped in an engaging cast of characters. I don't often laugh aloud while reading, but this is one of those books where I simply could not help myself. 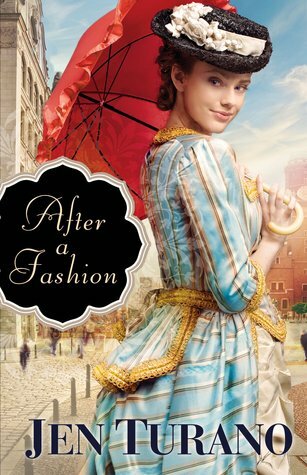 Harriet Peabody is a sarcastic, headstrong young woman, and her employer, Oliver Addleshaw, is a cocky gentleman with a dangerous sense of curiosity and a perpetual need to do business. Together they make an amusing - albeit suited - pair, with a rocky start and a tumultuous plot-line to revolve around them. For more information on After a Fashion by Jen Turano, visit our website here. 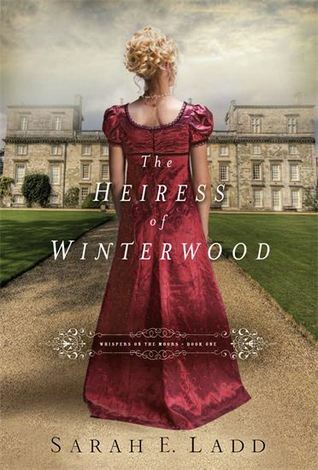 The Heiress of Winterwood is an intriguing idea that begins, really, with a very uncustomary proposal. A proposal, first of all, from a woman living in the nineteenth century. And she proposes to a man she has never met. We are introduced to Amelia Barrett of Winterwood, and the Sterling family of Eastmore Hall. Amelia is within reach of a very large inheritance as a result of her father's death, with the condition that she must be married before she turns twenty-four, lest the fortune go to someone else. In this case, however, Amelia Barrett's concern is not with the money of her inheritance, but a different matter entirely. Were she to follow with her uncle's plan she would be wed well before her twenty fourth birthday to a man of seemingly ideal character and upbringing. But then of course, there is the matter of the child. In the process of her courtship with Edward Littleton, Amelia cares for a pregnant Katherine Sterling. This woman's husband, Graham, is a captain of the navy whom she hasn't seen since shortly after they married. When Katherine dies after giving birth, the child, Lucy, is left in Amelia's care. Amelia promises Katherine just before she dies that she will care for her daughter to her last breath, but when Edward Littleton refuses to allow the child to remain at Winterwood after they marry, her entire future is thrown into disarray. The only way for her to keep her promise to Katherine, and to maintain the funds to do so, is for her to marry Graham Sterling in time to keep her inheritance. Never mind that his wife died only months ago, and now as he returns from his duties to meet his daughter for the first time he is proposed marriage by a brazen and headstrong woman he has never encountered before. She presents the proposal as a business arrangement - nothing more, nothing less, with the promise that Graham may go about his life however he pleases so long as she may continue caring for baby Lucy, whom she has come to love as her own child. Even if he were to agree to her, how many others will try to stand in her way? For more information on Whispers on the Moors: The Heiress of Winterwood by Sarah E. Ladd, visit our website here. To anyone who has ever suffered a loss: a comfort. To anyone dealing with any stage of grief: a companion. This classic book by C.S. Lewis approaches the loss of a loved one in a way that comforts, listens, hurts, holds, and cries with the reader. In his mind-numbing grief, Lewis chokes out the words to somehow enunciate his agony over the loss of a loved one - the loss of his loved one - even when his emotions rob him of words and the breath to form them. In all of his floundering to communicate, what comes across is a beautifully painful account of his journey through grief; the musings of an influential man brought down to the same base level as any other individual. His expression is truly humbling. How often do we look at these famous, shining people as other and out-there and unaffected? Apart from "the rest of us"? And how often are we all of a sudden proven so wrong? To be able to relate so deeply to someone seemingly so far out of reach has an entirely humbling effect. In the shadow of sorrow and grief over loss, I would hug this book to my chest and read it time and time again, in search of comfort. Sometimes all the comfort we need is someone who listens and understands, and A Grief Observed is akin to that, without the ability of interrupting or claiming that your feelings are not right or valid. It is so easy to dismiss someone's pain as lesser and to compare it to our own in a cruel way of diminishing their experience, and in doing so, do exactly the opposite of comfort them. Lewis would not - could not - do anything of the sort. 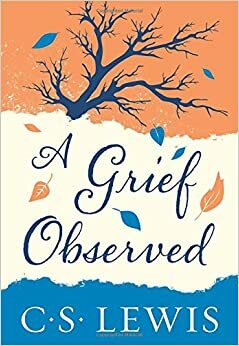 A Grief Observed is something like a heartfelt guide through different stages of grief, guaranteed to carry you through, step by step, as the author himself undergoes each. For more information on A Grief Observed by C.S. Lewis, visit our website here. 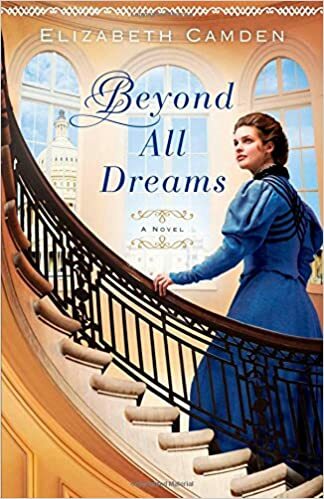 In her latest release, Beyond All Dreams (Pub. Jan 2015), Elizabeth Camden details the intriguing lives of Anna O'Brien, a librarian at the Library of Congress in 1897, and Luke Callahan, a struggling congressman very recently demoted to the Committee on Fisheries to his great embarrassment. Introduced separately, the two characters' stories intertwine slowly and then all at once. Camden does a very good job of providing worry and suspense; wondering how things could possibly turn out in light of the messes that everyone seems to slip into. The events of the first chapter seem to introduce a complicated plot while simultaneously crushing anyone's hope of learning anything substantial on the subject. Anna O'Brien is approached by the navy, regarding an error she believes to be documented in the country's history, only to be ordered in no uncertain terms to forget about the matter entirely and move on with her life. But Anna is a researcher, and even under threat it seems difficult - if not downright impossible - for her to let go. It is perhaps their tragic childhood stories that bring Anna and Luke so close to one another when their mutual use of research forces them to align. Their personalities are as different as night and day and their life experiences have taught them such different lessons. Originally they meet each other at such odds, and in Anna's case, this leads her to near-disgust. But that sentiment quickly changes and the trouble then lies with who will be the first to admit it. For the sake of clarification, Beyond All Dreams does not focus solely on the relationship of its characters, though that could be considered a very key point. Camden does place heavy emphasis on who her characters are, for themselves and towards each other, and she does go into the emotional state of each, but this book is as much a suspenseful novel about controversy and betrayal as everything else. She adds authenticity with a careful portrayal of the time period and she approaches such questions as peace and war; right and wrong. The controversy that Anna has supposedly uncovered leads to eavesdropping, spies, stalkers, and a mess of justice between her and the truth about her past. If nothing else, Camden's investment in her characters make them worth fighting for - or reading for - as the case may be. For more information on Beyond All Dreams by Elizabeth Camden, visit our website here. As many of you have probably noticed, the coffee house has undergone a plethora of changes in the recent weeks. Firstly, Sarah has left us to pursue other opportunities and Adriel and I (Matt) have stepped in to take over managerial duties. We have rolled out many changes since taking over and I thought it would be convenient to recap them for you here. Our menus have undergone a major transformation. Not only have we given them a facelift, but we have also changed our offerings. 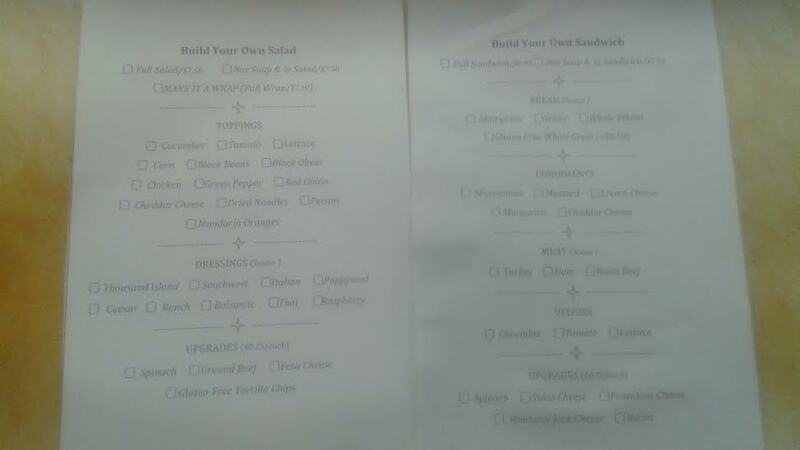 Many of our traditional salads, sandwiches and wraps have been replaced with a “build your own” option. We have easy to use forms for you to fill out and you can customize to your heart’s content. Fret not however, as we still have several of our traditional sandwiches including the BLT, grilled cheese and egg salad available. For those of you more familiar with the classic turkey or ham sandwich; do not fear as we will still honour such requests. Now, menu changes have not been limited to solely food options. We have also revamped and expanded our drink options. The newest editions to our generous line-up include the very popular Oreo frappé and the classic caramel macchiato. Of course, we still do have your favourite smoothies, lattes and Italian sodas available as well. 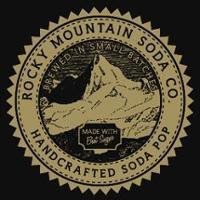 In addition, we have also added some new offerings to our pop cooler including an array of options from the Rocky Mountain Soda Company- everything from a refreshing prickly pear flavoured soda to a classic root beer. We would like to thank each and everyone one of you for making this management transition as smooth as it has been. Your patience has been extraordinary and your reception to our new ideas has been nothing short of touching. We look forward to continuing to provide you with the high level of service you’ve come to expect from us here at the House of James coffee house. Nym is born to a kingdom that does not want her. It controls her. Her kind are killed at birth: Elementals, with powers beyond strength and reckoning, and they are always male. She is the exception. She should not exist. In fact, she would prefer not to. Sold again and again into slavery, Nym is finally bought by a buyer who knows her abilities for what they are and decides to use them to acquire power. Nym is forced into training, to become Faelen's deadliest weapon. Never having been considered human, she sees little improvement from slave to weapon, except that she is slowly learning to control the curse that draws her emotions into the deadly power of the elements of the storm. A power that, until now, had only ever enabled her to kill people. Mary Weber uses Storm Siren and its sequel, Siren's Fury, to touch on the subject of pain, both physical and emotional. While other topics are addressed throughout the books, pain is the most prominent. Being born into suffering. Surviving pain. Accepting. And living with the knowledge of it. Nym is a relatable, understandable character, and for anyone going through pain and looking for an escape, even her fictional experience can speak to that. Not only helpful, the Storm Siren series is a web of suspense, intrigue, messy politics and crushing battles, and a psychological journey for everyone to follow. Nym claws for your attention and clings to it with both hands, until the book is done. And even then, her story lingers. Mary Weber's words are impactful and punctuating through the eyes of her characters. Her words take hold and force you to read, feverishly, until the very end. It is written as youth fiction, but even a mature mind will appreciate the flow of this trilogy. Guaranteed to keep you on the edge of your seat until the release of Book Three. 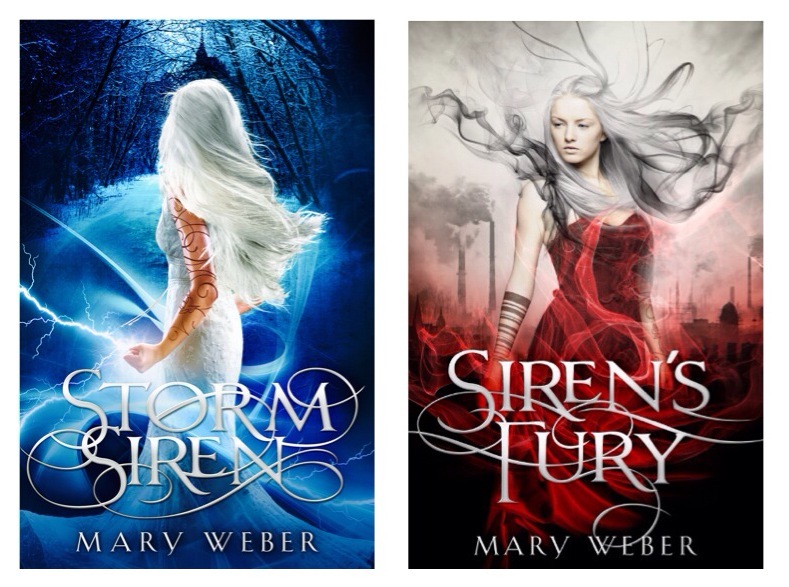 For more information on Storm Siren and Siren's Fury by Mary Weber, visit our website here and here.